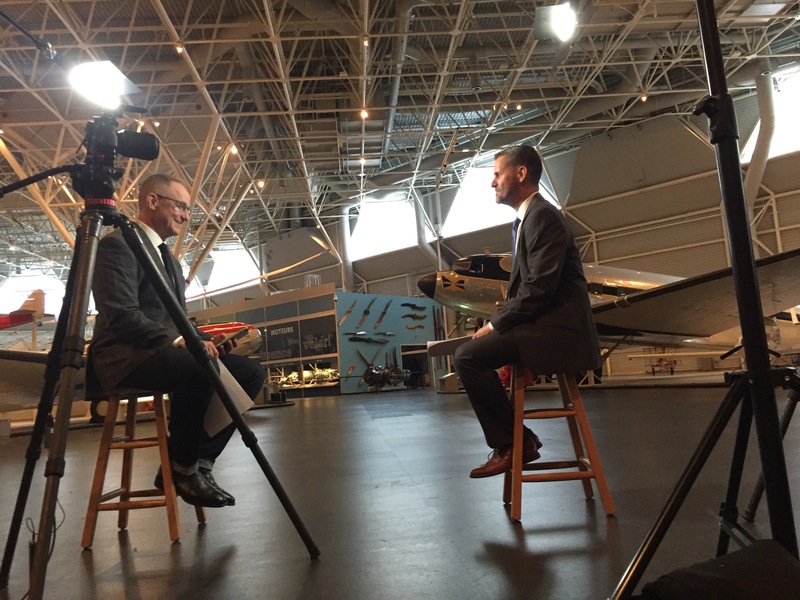 The most-watched documentary program in Canada, W-5, will air their investigation into fatigue in the aviation industry this Saturday. If you miss it, the episode should be available at http://www.ctvnews.ca/w5. The Emmy, Gemini, and Peabody Award Winning Kevin Newman and I sat down for a frank discussion about pilot fatigue as part of Saturday’s episode. I don’t know how much of our talk will make it in to the episode, but one of the issues we discussed was on-duty napping, or as we refer to it in aviation, controlled rest. My focus is sleep-related fatigue. I use the term fatigue as a synonym for sleepiness. This form of fatigue ranges from wide awake and alert at one end, that is no fatigue, to state instability at the other end. This is at the far end of the spectrum, where fatigue and sleepiness are extreme and where micro-sleeps are uncontrollable. It is also where fatigue related performance impairments can result in deadly outcomes like the uncontrolled descent into terrain that killed a passenger of a Cessna 172 in 2008. The pilot, and both passengers fell asleep during flight. The best remedy for sleep-related fatigue is sleep. Nothing else relieves fatigue as well as sleep. Rest periods (breaks) can improve performance but compared to naps, they don’t provide the same relief from fatigue and the effects don’t last as long. This is why I push organizations to include controlled rest in their list of permissible fatigue countermeasures. Fatigue countermeasures are strategies that are used to fight fatigue that takes hold during duty. They should not be used routinely to keep pilots, mariners or train engineers and conductors alert and safe. Instead, fatigue prevention strategies should be the mainstay of alertness and safety. If people are routinely napping on the job, then they are too fatigued and it’s probably because fatigue prevention strategies are failing. If you are looking for a place to start when implementing a controlled rest procedure, here is a set of guidelines http://skybrary.aero/bookshelf/books/2201.pdf that I would support…except for the point about nap length. I will tell you why in my next article. Here’s a couple more articles on napping you might also find interesting. Neri, D., Young, R., Colletti, L., Mallis, M., Tam, P., & Dinges, D. (2002). Controlled breaks as a fatigue countermeasure on the flight deck. Aviation, Space and Environmental Medicine, 73, 654-664. (A) Asaoka, S., Fukuda, K., Murphy, T., Abe T., & Inoue, Y. (2012). The effects of a nighttime nap on the error-monitoring functions during extended wakefulness. Sleep, 35, 871-878. (B) Purnell, M., Feyer, A., & Herbison, G. (2002). The impact of a nap opportunity during the night shift on the performance and alertness of 12-h shift workers. Journal of Sleep Research, 11, 219-227. (C) Sallinen, M., Härmä, M., Åkerstedt, T., Rosa, R., & Lillqvist, O. (1998). Promoting alertness with a short nap during a night shift. Journal of Sleep Research, 7, 240-247.